Remove the bedplate perimeter bolts-(3). Note:Do not forget the 2-outside rearbolts-(4). 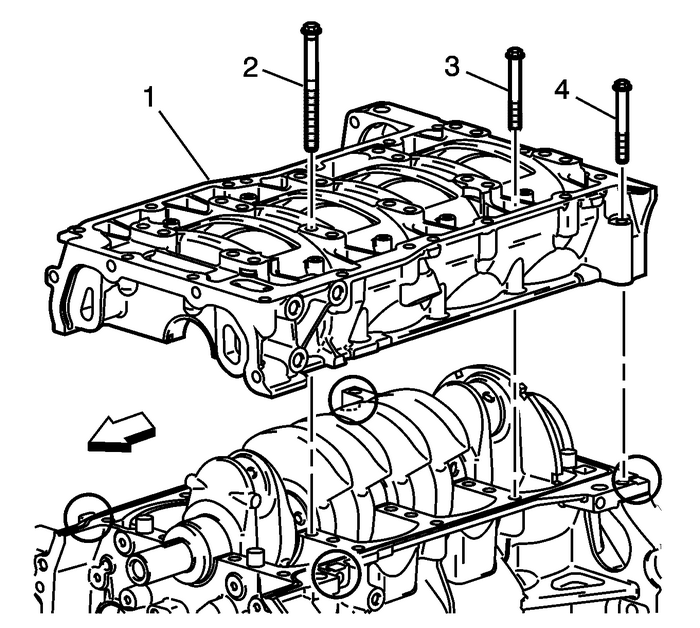 Remove and discard the crankshaft bearingbolts-(2).Using the pry-points and an appropriate prying tool, gentlyseparate the upper and lower crankcase-(1).